As autumn brings cooler temperatures, it also signals the arrival of another seasonal display—falling leaves. Leaves contain 50 to 80 percent of the nutrients a plant extracts from the soil and air during the season. ilizer, and as an addition to your compost. 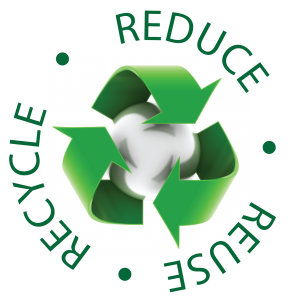 Grass clippings, leaves, and other yard debris make up 20 percent of the trash sent to landfills each year. It costs Texans over $250 million a year to collect and dispose of this resource. Mowing – a light covering of leaves can be mowed, simply leaving the shredded leaves in place on the lawn. This technique is most effective when a mulching mower is used. Mulching – a lawn mower with a bagging attachment provides a fast and easy way to shred and collect the leaves. Apply a three to four inch layer of shredded leaves around the base of trees and shrubs. A two to three inch mulch of shredded leaves is ideal for flowerbeds. For vegetable gardens, a thick layer of leaves placed between the rows functions as a mulch and an all-weather walkway that will allow you to work in your garden during wet periods. Composting – in addition to leaves, other yard wastes such as grass clippings, pine needles, weeds, and small prunings can be composted. Compost can serve as a mulch and soil conditioner that nourishes your yard and reduces the need for outdoor watering up to 60 percent. Soil Improvement – leaves may be collected and worked directly into garden and flower bed soils. A six to eight inch layer of leaves tilled into a heavy, clay soil will improve aeration and drainage. The same amount tilled into a light, sandy soil, will improve water and nutrient holding capacity and require less inorganic fertilizers and herbicides. 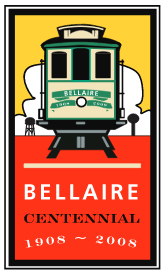 From the Houston Chronicle, Brenda Beust Smith, Published 5:30 am CDT, Saturday, July 28, 2007 – Great information! When yardmen and landowners blow or shovel grass clippings, etc., down storm drains, they’re harming the environment. Several weeks ago, I mentioned seeing yardmen blow plant waste down a city storm drain. I said that homeowners need to take responsibility for the irresponsible actions of their workers. 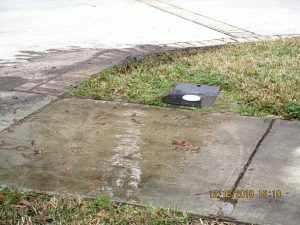 Too many homeowners and lawn crews aren’t aware of the difference between storm drains and sewers. 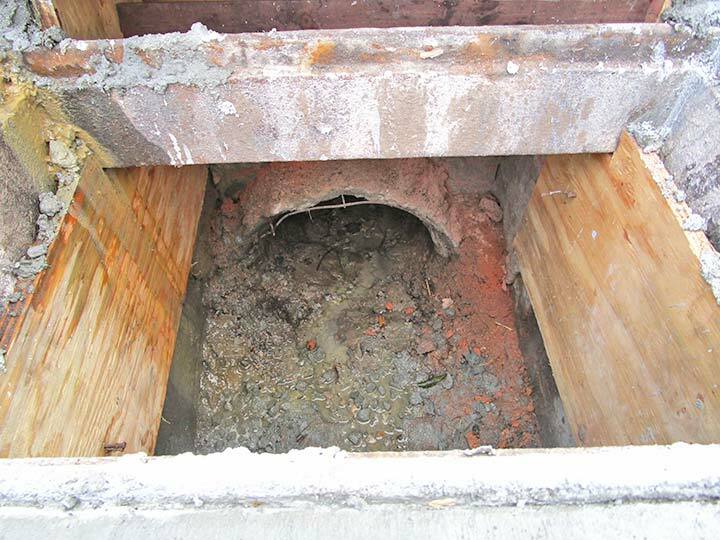 Sewers carry sewage “black water” that comes from toilets and other household drains. It is sent, via underground pipes, to treatment plants. Typically, we don’t see these pipes or openings. Storm drains lead to a separate pipe system. Openings are visible from the street. 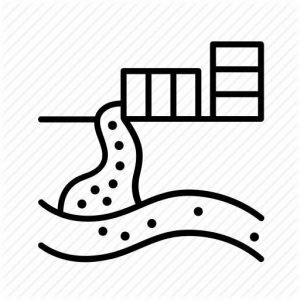 They are designed to route rain runoff into large pipes that lead directly to major ditches, bayous and other waterways, which ultimately empty into Galveston Bay. There’s no treatment or filtering of this water between your yard and the bay. It is your responsibility to make sure that nothing but untainted rain water flows from your yard into storm drains. Lawn clippings, leaves and other debris often clump, contributing to flooding in your neighborhood. And that’s only the beginning. If you’ve used chemicals on your lawn or garden, they may contaminate the water that runs off from rains or your sprinkler system. Even nontreated lawn clippings do harm. When they decompose, they release carbon and nitrogen that feeds undesirable algae, which, in turn, use up oxygen in the water, contributing to fish kills. 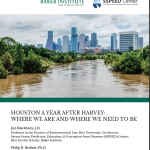 Debris-filled runoff from home landscapes has contributed to so much unnecessary flooding, it is being addressed by numerous Houston-area agencies, departments and organizations. Perhaps you only occasionally allow grass clippings, leaves and other plants to wash down the drains. 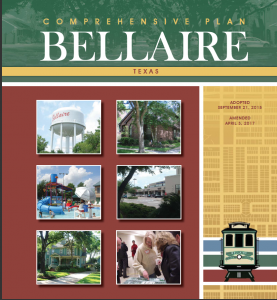 But multiply your “occasionals” by the hundreds of subdivisions and thousands of homes in the Greater Houston area and it’s easy to see why non-point source pollution is becoming a major concern. 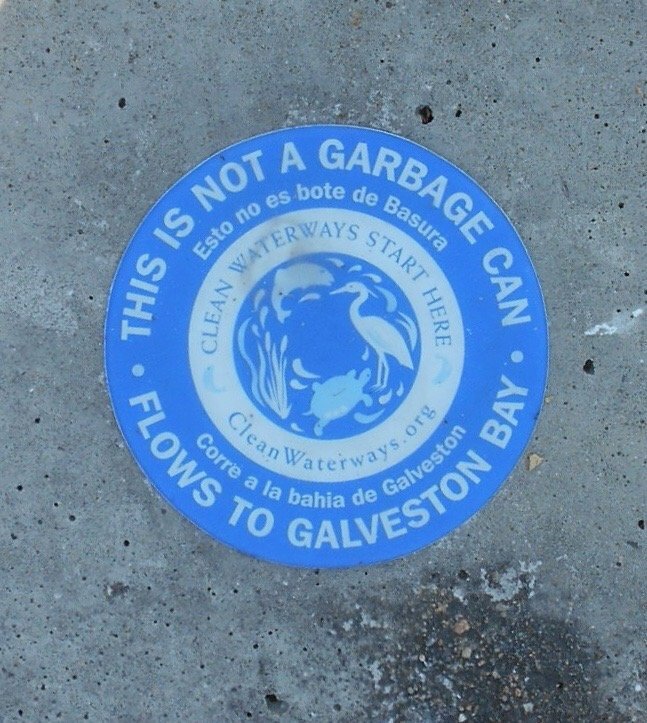 Upon request, staffers from Clean Water Clear Choice’s Storm Water Inlet Marking (SWIM) program will attach a 5 1/2 -inch disk to the top of your street’s storm drains warning, in English and Spanish: “No Dumping, Flows to Galveston Bay.” NOTE: Look for these seals on many of Bellaire’s storm sewer drains. 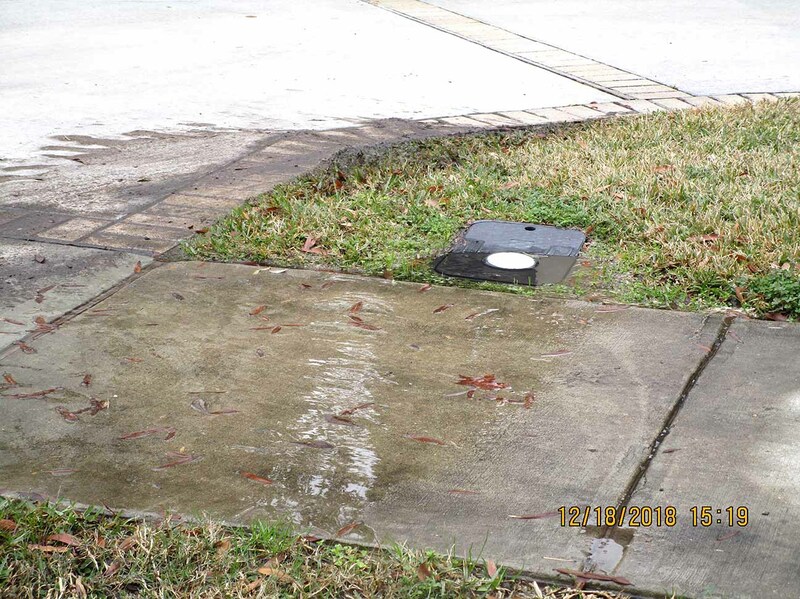 Want to know more about the storm drains in your area? The SWIM program can help. 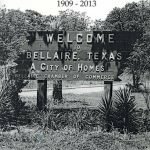 Its staffers are looking for more Houston/Harris County neighborhoods, as well as individual volunteers, to become involved. 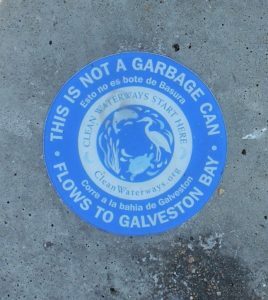 Free SWIM kits are available through CleanWaterClearChoice.org or 713-290-3000. Even if you don’t join, be a responsible citizen. Don’t blow or sweep your lawn clippings into the street. The best option, ecologically speaking, is to re-mow several times so the clippings will sink down into the lawn and break down quickly, providing valuable fertilizer. Alternatively, bag lawn clippings, allow them to compost and then spread them on the lawn. Don’t put these bags out for the trash. This contributes to landfill problems. If you send your clippings and other yard wastes off with your yardmen, please impress on them the importance of not flushing them down the drain.